Upon waking up today, thousands of Puzzle and Dragoners were greeted with an additional 80 box space and team cost that came with the 9.4.2 update. In this article, I wish to highlight all the noteworthy changes along with how I feel they will impact our PAD life. You should always refer to the official patch notes as I may gloss over certain updates etc. This can be found HERE. 9.4.2 comes with new split evolutions for Spica, Mitsunari, and Akechi that better defines them as either leaders or subs. Unless you love the art work or in desperate need for the sub colour, the Wood/Water Spica is the strongest option as she comes with a wonderful God Killer and dual Skill Boost awakenings. Spica may have new found usage (despite the Heart Cross meta) as a sub for Machine Athena due to her Machine typing. She is also phenomenally pretty. Mitsunari is an often forgotten card as he struggled to find a team to call home. Even his leader form of Wood/Dark is lackluster due to the active skill clause. Thus, we lose the mask and bring 4 wood row awakenings with an active that converts the whole board to wood, dark, and heart orbs along with 2 turns of haste on a 13 turn cooldown. This can be useful as either an inherit for mono wood or dark teams or as a stellar sub on wood teams that are row based. One interesting option for using Mitsunari is on Awoken Liu Bei teams if you are struggling to farm up numerous Dios as a Mitsunari + Liu Bei active results in a full board of wood orbs. However, this does take more time due to pressing an additional button and going through the haste animation. Conversely, you can also use Mitsunari as a means to help overcome combo shields with his tri-colour board active. Akechi is regarded as one of the strongest dark cards in the game due to his overwhelming active that forms dark and heart orbs along with enhancing all dark orbs. This combines two mechanics into one and allowed for spectacular burst damage when used in conjunction with Haku . In addition, it also means you can save a sub slot as you combine an enhance and orb change. Unfortunately, Akechi’s own base stats and awakenings were lackluster until his new ultimate evolution! The PAX West Godfest comes jammed backed with +30 rolls and 4x GFE rates to celebrate one of the largest gaming conventions happening in Seattle. As with any of my Godfest reviews, I will try my best to add clarification and insight for the featured pantheons. Due to the rarity of GFE, it can be challenging to roll for them and you should have a strong fallback option with the pantheons that are also featured. Day 1 features the newly Awoken Japanese 2 and the nearly Uuevo-ed Indian 2 series. The Japanese 2 used to be one of the most dominating sets of gods to roll for; however, time has not been too kind and their Awoken Evolutions do help round out team rosters, but none become meta changing leaders of their heyday. One thing to note is that most cards lose their God typing through an Awoken Evolution. 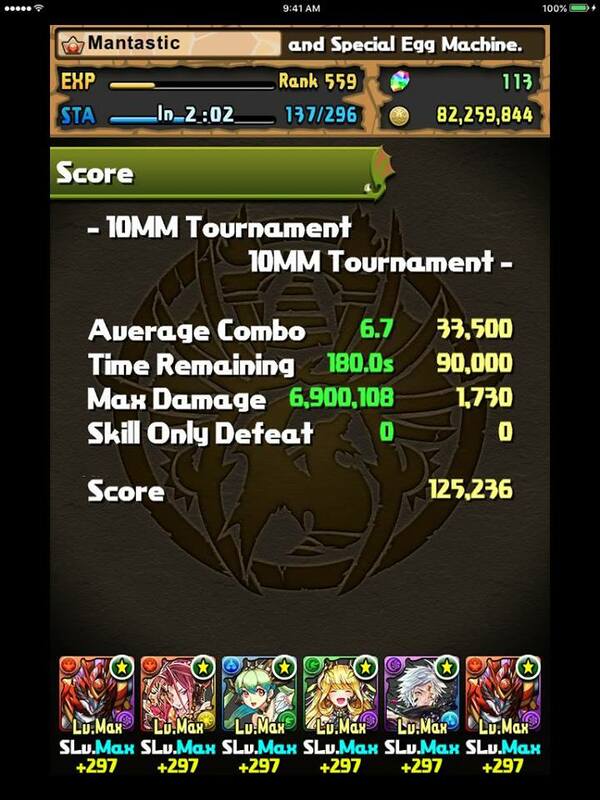 Conversely, the Indian 2 pantheon has been one of the weakest and thankfully, GungHo has been giving them some love through Uuevos that created a surprisingly powerful Sarasvati. We are still waiting for Krishna and Vishnu to have theirs announced and hopefully they become just as powerful. Quick! Everyone grab your Shiva Dragons for a top 1% ranking and shiny hat. Wait…Awoken Horus , what are you doing here? Welcome to the 10 Million Downloads Ranking Tournament that features a pre-set rainbow team that somewhat evens the playing field as everyone is forced to use the same team. As such, there will be no theory crafting component, but instead I will do a brief run down of the dungeon and my strategies used to achieve a high score. All players should complete this ranking dungeon due to the ease due to the floors not attacking and having a full hypermaxed team. Lastly, you have a chance at acquiring a spirit jewel or an evolved Fagan and a hefty amount of rank experience. With these in mind, you want to plan/match as quickly as possible to score higher while sweeping every floor. A higher amount of combos will be favourable and needed to burst through several of the floors. Each member of your team is max level, +297 and max skilled. With Awoken Horus as your leader, you must be able to consistently match 4 different colours (ideally 5) to trigger your damage multiplier. Furthermore, using an active grants a significant damage boost and I will go into detail after the dungeon introduction as to where you should be using your actives. Your strongest element is fire because both Horus and Antares sharing the fire element. Dark is your second strongest due to the sub colour from Horus and the high attack on Castor. You can utilize fire and dark TPA for even more damage. Lastly, each of your subs convert the useless heart orbs into a usable colour while providing 1 turn of haste. The dungeon consists of 6 floors that will not attack you and simply stare at your while you play. With the exception of Meimei on floor 3, all floors simply have a specific amount of health you need to nuke down. Meimei has nearly 1 million defence, and you must use Antares to generate more fire orbs (they will be enhanced due to the countless awakenings on the team) and you simply need to match your 5 colours and fire TPA to pierce through. The rest of the floors are require an active of some sort to proc your additional damage, but try to use Spica on floor 2 to generate enough wood orbs to deal with the water based Karin. Horus used on floor 1 will be ready again for the boss. Do note that the actives listed per floor are simply a guideline, you may have to deviate if things do not go according to plan, but it helps to have a template to autopilot off of. The strategy is quite straightforward due to a lack of dungeon mechanics and is mostly a test of your rainbow matching skills. If you can follow the active usage chart above, you should be able to sweep every floor without too much difficulty. The key to scoring high is being able to plan and execute your matches quickly. You only have access to 2 time extend awakenings which may feel frustrating and requires you to be precise in your matching. My top 1.8% ranking play through that has some room for improvement but should at least give some inspiration for achieving a high score. There is no voice-over as there is not much to say and mostly consists of me rambling to myself or swearing. Upon reflection, I should have dropped the orb sooner on the first few floors to save a few extra seconds. Maybe I will get a hat this time, but it is going to require a modest amount of RNG to score higher as the max damage is where a large portion of your points can come from. Perhaps if I can save Antares for a later floor, I may be able to burst higher, but will still require more runs to do so.